The shipping table for fabrics is at the bottom of the column on the left. This whole piece is about one yard. Great Christmas gift to make for your child's favorite teacher. This is a softer, lighter weight cotton. It is not as thick as my other apron panels. This is an adult size apron for a man or a woman. 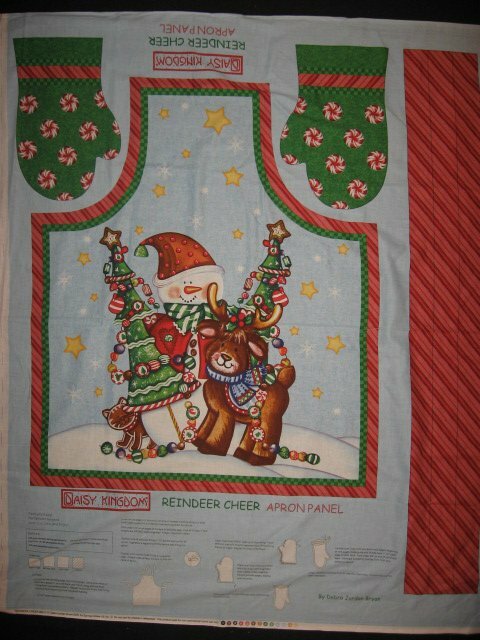 Daisy Kingdom Reindeer 100% coton fabric apron to sew. 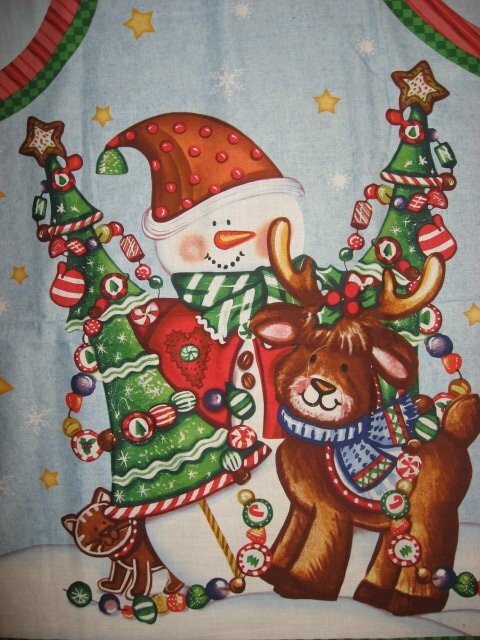 Pretty colors with a snowman, reindeer, and decorated Christmas trees. All the real easy directions are on the panel.